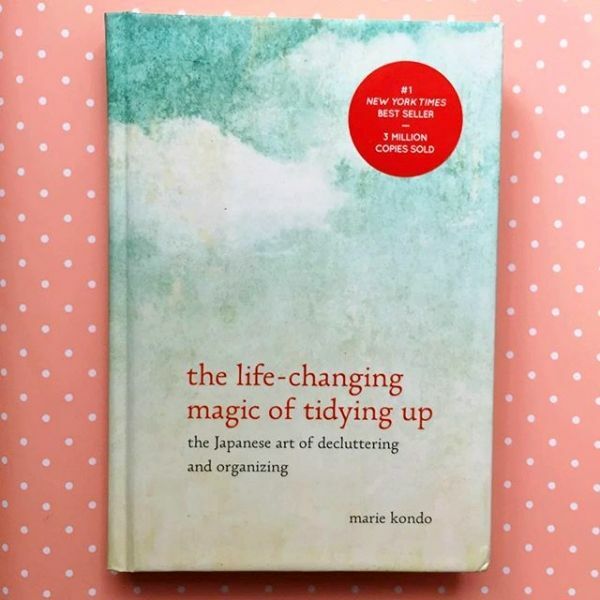 As I mentioned, I've recently started reading "The Life Changing Magic of Tidying Up". I picked up this book because we have a teensy clutter problem. The book came highly recommended to me by my friend Jocelyn & Joyce and it's definitely come through on its claim to change my life. Kyle & I really try to keep things tidy, but we always seem to run into some roadblocks. My bedroom doubles as an office and I went from living in my own two bedroom cottage to sharing a place with him so needless to say we have a lot of stuff. Quite honestly, our clutter causes conflict in an otherwise harmonious relationship. Lately, I've felt the serious need to pare down and simplify so reading this book couldn't come at a better time. I've only just begun my de-cluttering journey but I already feel like a weight has been lifted off my shoulders. I'm going to be documenting my life changing tidying up journey for La Petite Fashionista for anyone else wanting to do the same. Author & professional organizer, Marie Kondo's "KonMari" method starts with the process of organizing (& purging) clothes. As a fashion blogger, I have a ridiculous amount of everything and finding something to wear each day can sometimes be overwhelming. Don't even get me started on my dresser! Marie recommends starting with clothes because they have the least sentimental attachment. Organizing them into subcategories helps the decision making process. I started with tees & ended with shoes. 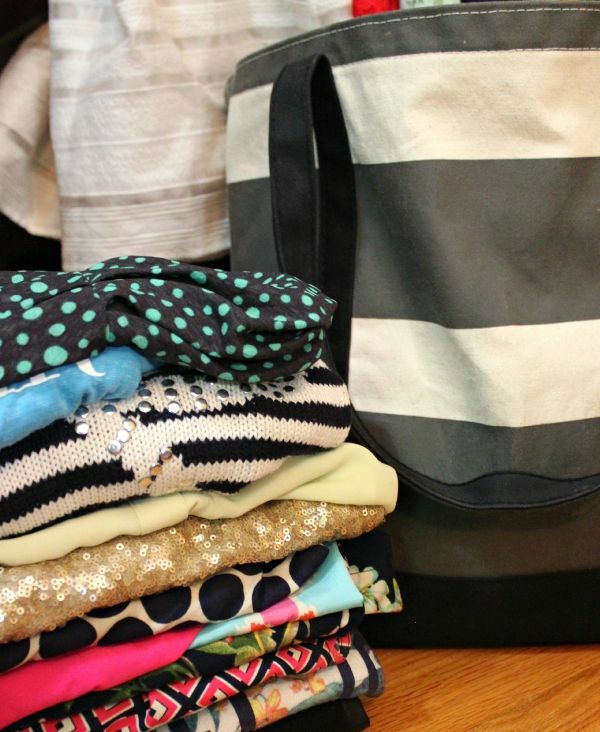 As you sort through your closet, the question to ask yourself is "does it spark joy?". For me the though process was about how the clothes made me feel. 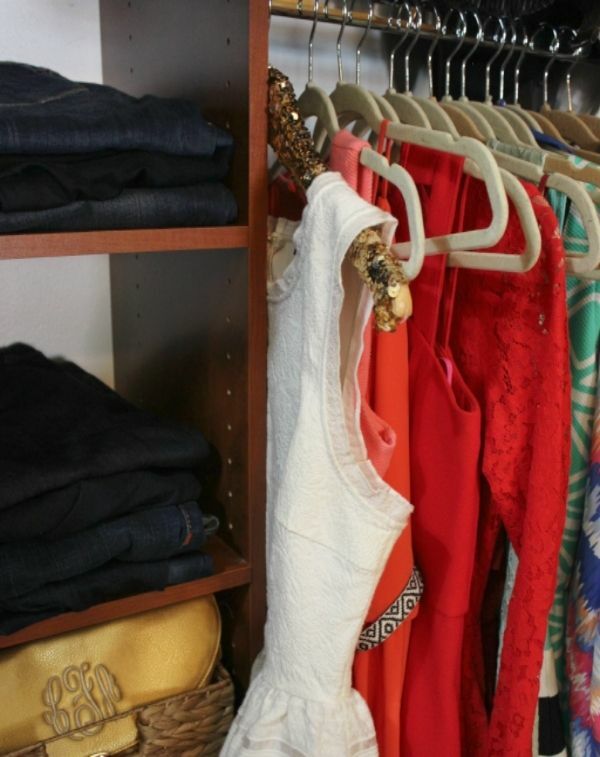 Why keep anything around that doesn't make you feel confident, beautiful, comfortable or chic. I had been keeping around lots of pairs of jeans that I'd grown out of and had a drawer full of "sleep shirts" that I never even used. I ended up with 6 paper grocery bags full of clothes to give to my local charity shop & one bag with the best pieces to put up for sale in an upcoming Instagram shop. My closet has been so crammed full that I could barely add another hanger, so it's been a drastic change post- KonMari. 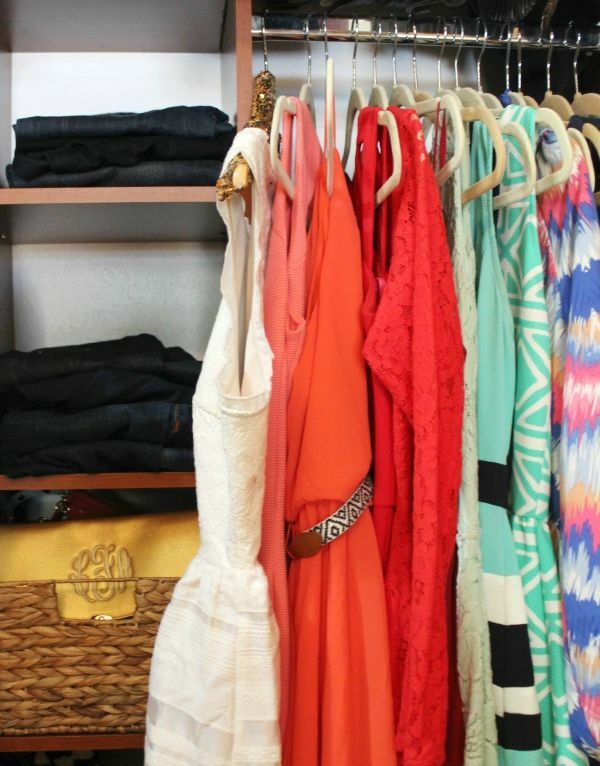 I think what I love most is that I love everything in my closet & dresser- so getting dressed in the morning is a breeze. Everything fits & flatters me and makes me feel my best. There's even a method for folding clothes that makes them all fit in drawers more easily (no more piles & stacks of folded shirts)! 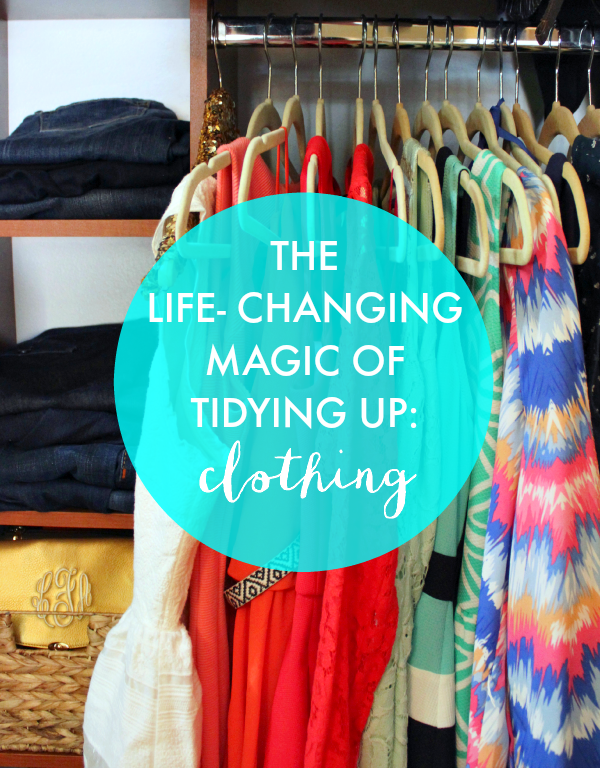 If you're overwhelmed by clutter in any aspect of your life or think you'd like a more minimalist approach, I highly recommend you check out "The Life Changing Magic of Tidying Up". It's the best $12 I've spend in a long time. While it's definitely still a work in progress, I can't wait to document and share all of the changes. Have you read the book? What are your favorite ways to organize & declutter? Marie Kondo also has videos on YouTube that show how to fold different articles in the most effective way. I now have so much more room in my closet and drawers after purging what doesn't bring joy and folding correctly! Great post!